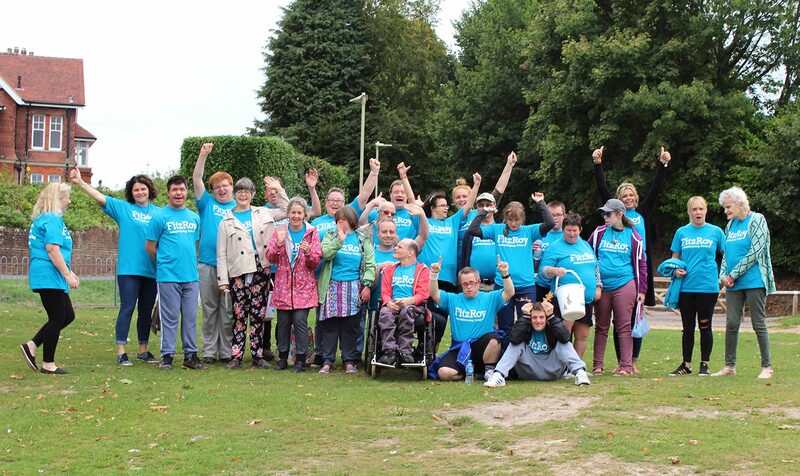 Our two Day and Community Services in Hampshire, On Track and Waterlooville, teamed up to take steps towards fundraising for their Christmas party through a sponsored walk. 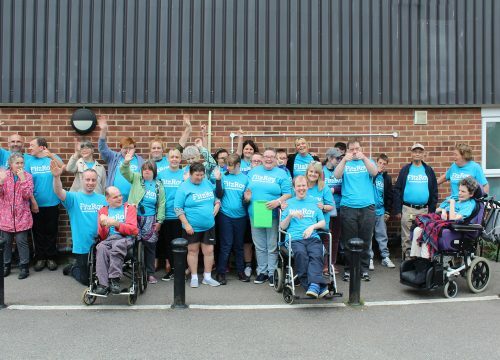 Over 20 people who attend the services took part in the walk, which started at On Track in Petersfield and took a circular route around the scenic Heath. 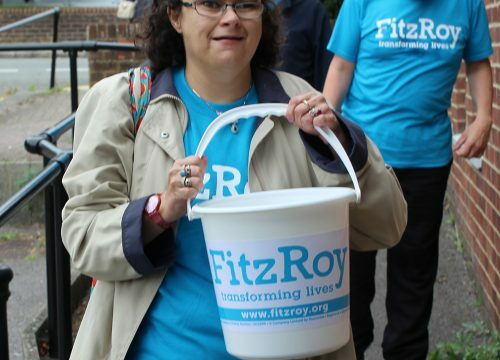 Attendees and staff wore vibrant FitzRoy T-shirts, which meant that they stood out and caught the attention of many passers-by. 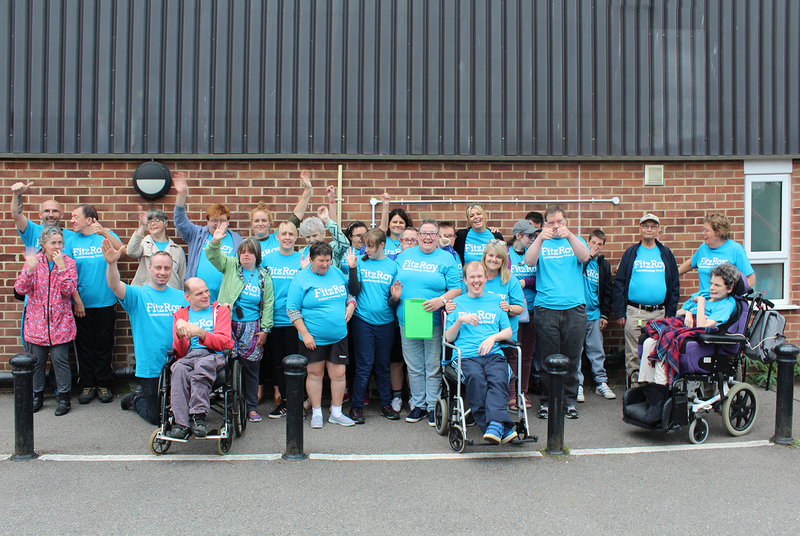 The sponsored walk has raised over £300 in total, which will go towards funding a DJ, buffet and entertainment at their Christmas party. As an incentive, On Track offered a prize to the person that raised the most sponsorship, which was won by Gail Challinor, who raised an incredible £180! Gail chose a make-up and beauty set as her reward. The fundraiser was organised by On Track’s ‘Join, Share, Plan’ group, led by Activities Coordinator Sam Prouse and Support Workers Erika Wassertheurer and Heather Williams. 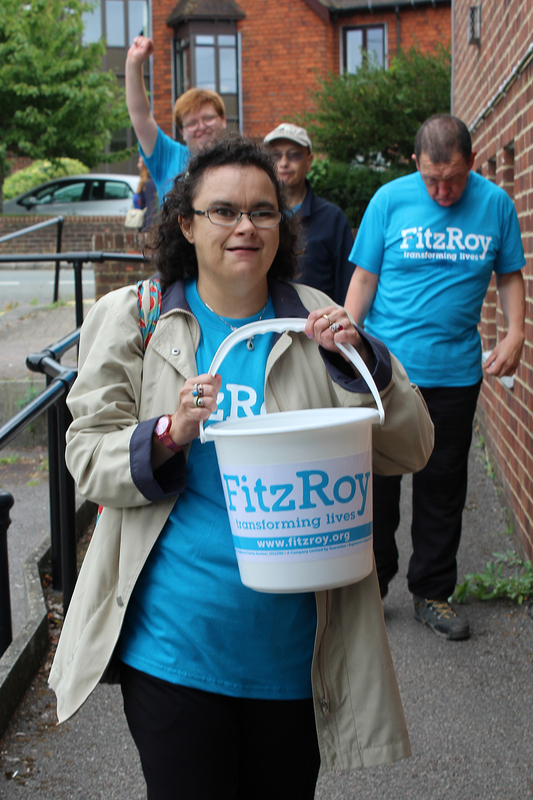 They arrange regular local events, activities and fundraisers for the people they support. The ‘Join, Share, Plan’ group’s next event will be the ‘Great On Track Bake Off’ on 27th November. This creative challenge will involve people baking a cake that reflects their own personality.